The following is a second in the 2nd series that is focused on the topic of the impact of genomics and transcriptomics in the evolution of 21st century of medicine, which shall have to be more efficient and more effective by the end of this decade, if the prediction for the funding of Medicare is expected to run out. Even so, Social Security was devised by none other than the Otto von Bismarck, who unified Germany, and United Kingdom has had a charity hospital care system begun to protect the widows of the ravages of war, and nursing was developed by Florence Nightengale as a result of the experience of war. It can only be concluded that the care for the elderly, the infirm, and those who have little resources to live on has a long history in western civilization, and it will not cease to exist as a public social obligation anytime soon. The 20th century saw an explosive development of physics; organic, inorganic, biochemistry, and medicinal chemistry, and the elucidation of the genetic code and its mechanism of translation in plants, microorganisms, and eukaryotes. All of which occurred irrespective of the most horrendous wars that have reshaped the world map. The following are the second portions of a puzzle in construction that is intended to move into deeper complexities introduced by proteomics, cell metabolism, metabolomics, and signaling. This is the only manner by which I can begin to appreciate what a wonder it is to view and live in this world with all its imperfections. We have already visited the transcription process, by which an RNA sequence is read. This is essential for protein synthesis through the ordering of the amino acids in the primary structure. However, there are microRNAs and noncoding RNAs, and there are transcription factors. The transcription factors bind to chromatin, and the RNAs also have some role in regulating the transcription process. We shall examine this further. The role and importance of transcription factors? Transcription factors (TFs) interact dynamically in vivo with chromatin binding sites. Here we summarize and compare the four different techniques that are currently used to measure these kinetics in live cells, namely fluorescence recovery after photobleaching (FRAP), fluorescence correlation spectroscopy (FCS), single molecule tracking (SMT) and competition ChIP (CC). We highlight the principles underlying each of these approaches as well as their advantages and disadvantages. A comparison of data from each of these techniques raises an important question: do measured transcription kinetics reflect biologically functional interactions at specific sites (i.e. working TFs) or do they reflect non-specific interactions (i.e. playing TFs)? To help resolve this dilemma we discuss five key unresolved biological questions related to the functionality of transient and prolonged binding events at both specific promoter response elements as well as non-specific sites. In support of functionality, we review data suggesting that TF residence times are tightly regulated, and that this regulation modulates transcriptional output at single genes. We argue that in addition to this site-specific regulatory role, TF residence times also determine the fraction of promoter targets occupied within a cell thereby impacting the functional status of cellular gene networks. Thus, TF residence times are key parameters that could influence transcription in multiple ways. Cell Mar 13, 2014; 156:1312–1323,. Models of transcription are often built around a picture of RNA polymerase and transcription factors (TFs) acting on a single copy of a promoter. 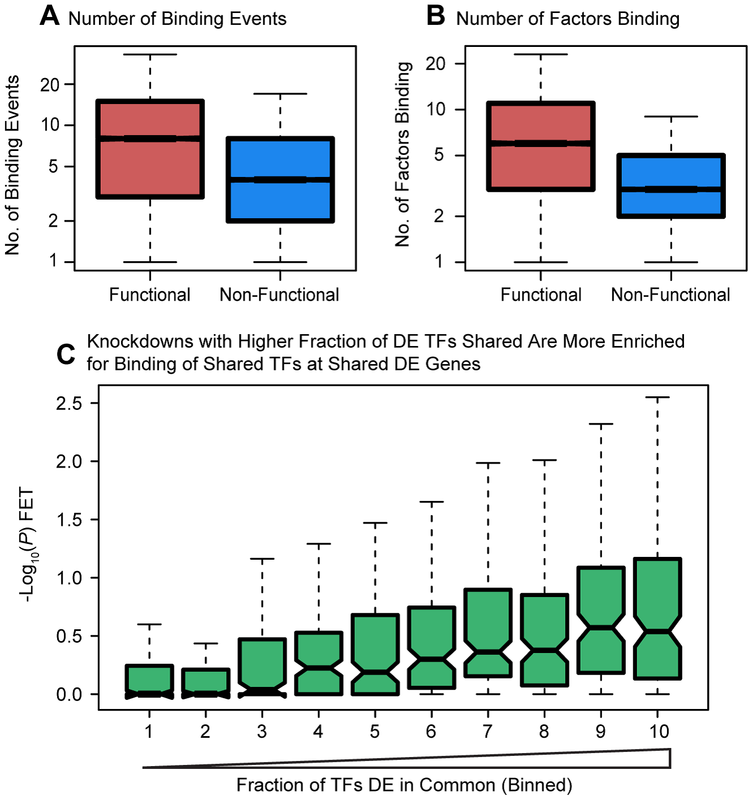 However, most TFs are shared between multiple genes with varying binding affinities. Beyond that, genes often exist at high copy number—in multiple identical copies on the chromosome or on plasmids or viral vectors with copy numbers in the hundreds. Using a thermodynamic model, we characterize the interplay between TF copy number and the demand for that TF. We demonstrate the parameter-free predictive power of this model as a function of the copy number of the TF and the number and affinities of the available specific binding sites; such predictive control is important for the understanding of transcription and the desire to quantitatively design the output of genetic circuits. Finally, we use these experiments to dynamically measure plasmid copy number through the cell cycle. Tramm T, Sørensen BS, Overgaard J, Alsner J.
Gene-expression analysis is increasingly performed on degraded mRNA from formalin-fixed, paraffin-embedded tissue (FFPE), giving the option of examining retrospective cohorts. The aim of this study was to select robust reference genes showing stable expression over time in FFPE, controlling for various content of tumor tissue and decay of mRNA because of variable length of storage of the tissue. Sixteen reference genes were quantified by qRT-PCR in 40 FFPE breast tumor samples, stored for 1 to 29 years. Samples included 2 benign lesions and 38 carcinomas with varying tumor content. Stability of the reference genes were determined by the geNorm algorithm. mRNA was successfully extracted from all samples, and the 16 genes quantified in the majority of samples. Results showed 14% loss of amplifiable mRNA per year, corresponding to a half-life of 4.6 years. The 4 most stable expressed genes were CALM2, RPL37A, ACTB, and RPLP0. Several of the other examined genes showed considerably instability over time (GAPDH, PSMC4, OAZ1, IPO8). Martin Jinek1,*,†, Fuguo Jiang2,*, David W. Taylor3,4,*, Samuel H. Sternberg5,*, Emine Kaya2, et al. 1Department of Biochemistry, University of Zurich, CH-8057 Zurich, Switzerland. 2Department of Molecular and Cell Biology,3Howard Hughes Medical Institute, 4California Institute for Quantitative Biosciences, 5Department of Chemistry, 6Physical Biosciences Division, Lawrence Berkeley National Laboratory, Berkeley, CA 94720,. 7The Laboratory for Molecular Infection Medicine Sweden, Umeå University, Umeå S-90187, Sweden. 8Helmholtz Centre for Infection Research, Department of Regulation in Infection Biology, D-38124 Braunschweig, Germany. 9Hannover Medical School, D-30625 Hannover, Germany. 10Life Sciences Division, Lawrence Berkeley National Laboratory, Berkeley, CA 94720. ↵‡ Present address: Friedrich Miescher Institute for Biomedical Research, Maulbeerstrasse 66 CH-4058 Basel, Switzerland. ↵§ Present address: Department of Agricultural and Biological Engineering, University of Florida, Gainesville, FL 32611, USA. to generate double-strand breaks in invasive DNA during an adaptive bacterial immune response. Cas9 has been harnessed as a powerful tool for genome editing and gene regulation in many eukaryotic organisms. revealing the structural core shared by all Cas9 family members. RNA-induced reorientation to form a central channel where DNA substrates are bound. implicates guide RNA loading as a key step in Cas9 activation. We are studying endothelial cell functions with a particular interest in angiogenesis and endothelium activation during physiological and tumoral vascular development. putative microRNA targets in the function played by this microRNA. Different members of the TAF family of proteins work in differentiated cells, such as motor neurons or brown fat cells, to control the expression of genes that are specific to each cell type. the pattern of gene expression can often change abruptly. which is then trans­lated into a protein. cooperate to recruit an enzyme called RNA polymerase, which then transcribes the gene (Kadonaga, 2012). upstream from the protein-coding region of the gene. 14 TATA-binding protein associated factors (TAFs) are included into two different protein complexes called TFIID and SAGA (Müller et al., 2010). which, in budding yeast, can recruit TATA-binding protein to gene promoters (Basehoar et al., 2004), but not all genes require all of the general transcription factors, and some genes require both TFIID and SAGA complexes. the same is not true for cells that are differentiating into specialised cell types. the entire pattern of gene expression changes dramatically. Moreover, certain TAFs are strongly up-regulated during differentiation. The core transcriptional machinery is essentially rebuilt at the genes that are expressed in differentiated cells. Over the years Robert Tjian of the University of California Berkeley and co-workers have illu­minated how individual TAFs can affect how a cell differentiates in different contexts (Figure 1). Now, in eLife, Francisco Herrera of UC Berkeley and co-workers—including Teppei Yamaguchi, Henk Roelink and Tjian—have identified a critical role for a TAF called TAF9B in the expression of genes in motor neurons (Herrera et al., 2014). Herrera et al. found that TAF9B predominantly associates with the SAGA complex, rather than the TFIID complex, in the motor neuron cells. Mice in which the gene for TAF9B had been deleted had less neuronal tissue in the developing spinal cord. Moreover, the genes that are involved in forming the branches of neurons were not properly regu¬lated in these mice. Recently, in another eLife paper, Tjian and co-workers at Berkeley, Fudan University and the Hebrew University of Jerusalem—including Haiying Zhou as first author, Bo Wan, Ivan Grubisic and Tommy Kaplan—reported that another TAF protein, called TAF7L, works as part of the TFIID complex to up-regulate genes that direct cells to become brown adipose tissue (Zhou et al., 2014). Figure 1. TATA-binding protein associated factors (TAFs) regulate transcription in specific cell types. TAF3, for example, works with another transcription factor to regulate the expression of genes that are critical for the differentiation of the endoderm in the early embryo (Liu et al., 2011). 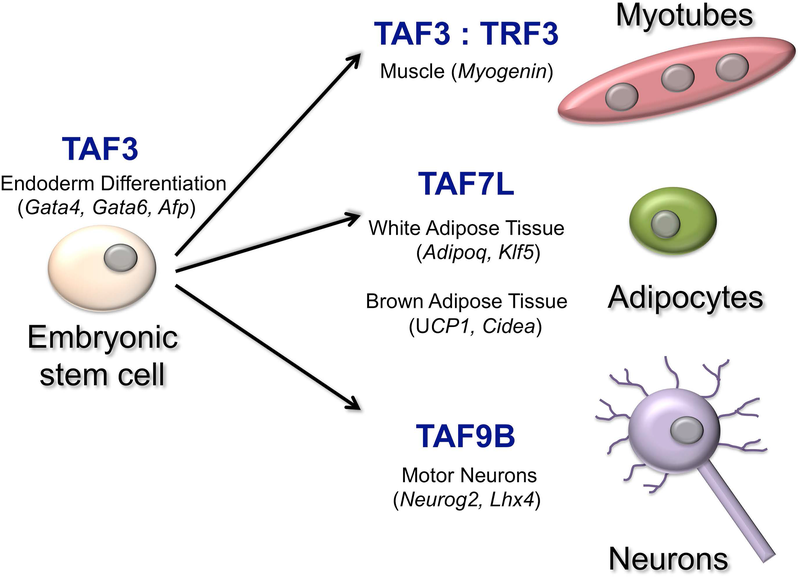 TAF3 also forms a complex with the TATA-related factor, TRF3, to regulate Myogenin and other muscle-specific genes to form myotubes (Deato et al., 2008). TAF7L interacts with another transcription factor to activate genes involved in the formation of adipocytes (‘fat cells’) and adipose tissue (Zhou et al., 2013; Zhou et al., 2014). Finally, TAF9B is a key regulator of transcription in motor neurons (Herrera et al., 2014). The names of some of the genes regulated by the TAFs are shown in brackets. 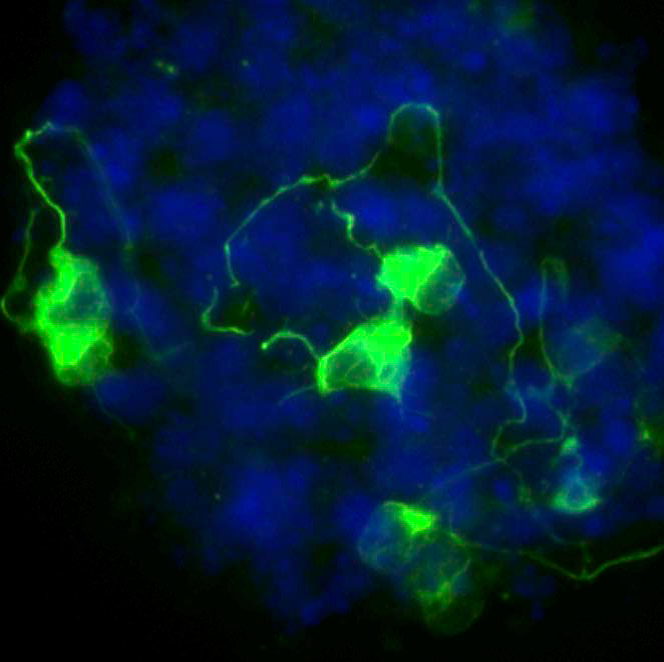 up-regulated when cells without the TAF9B gene started to specialise. Herrera et al. identified numerous genes that can only be switched on when the TAF9B protein is present, which means that it joins a growing list of TAF proteins that are dedicated to controllingthe expression of genes in specialised cell types. reside outside of these genes’ core promoters. Further, many of these sites were also bound by a master regulator of motor neuron-specific genes. factor called PPAR-γ; last year it was shown that this transcription factor also promotes the differentiation of white adipose tissue (Zhou et al., 2013). Mice without the TAF7L gene had 40% less brown fat than wild-type mice, and also grew too much skeletal muscle tissue. TAF7L was specifi­cally required to activate genes that control how brown fat develops and functions. Thus TAF7L expression appears to shift the fate of a stem cell towards brown adipose tissue, potentially at the expense of skeletal muscle, as both cell types develop from the same group of stem cells. When stem cells with less TAF7L than normal are differentiated in vitro, they yield more muscle than fat cells. Conversely, cells with an excess of TAF7L express brown fat-specific genes and switch off muscle-specific genes. enable differenti­ating cells to change which genes they express rapidly. Which signals lead to the destruction of core transcription factors? Are core promoter ele­ments at tissue-specific genes designed to rec­ognise variant TAFs? What determines whether variant TAFs are incorporated within TFIID, SAGA, or other complexes? Shortly after RNA polymerase II starts to tran­scribe a gene, it briefly pauses. Interestingly, a DNA sequence associated with this pausing, called the pause button, closely matches the sequences that bind to two subunits of TFIID (TAF6 and TAF9; Kadonaga, 2012). Consequently, TAF6 and TAF9 might be involved in pausing transcription, and if so, the variant TAF9B could play a similar role at motor neuron genes. essential during early modifications of eukaryotic RNA polymerase II that activate the enzyme for elongation. new functions of pausing and important aspects of its molecular basis. events that serve critical regulatory functions. this coordination controls amino acid synthesis in response to amino acid availability ( 3). A protein induced pause occurs when the E. coli initiation factor σ70 restrains RNA polymerase by binding a second occurrence of the “–10” promoter element. pauses, including those essential for transcription termination. preventing further nucleotide addition ( 7). and allow the his and related pauses to be stabilized by RNA hairpins ( 8). polymerase in the posttranslocated state are marked with an asterisk. be favored over the pretranslocated state. Hence, if G binding inhibits pausing, then the rate-limiting paused structure must be in the pretranslocated state (a conclusion also made by Larson et al. from biochemical experiments). inhibit pausing, to smooth out adventitious pauses in genomic DNA. The studies by Larson et al. and Vvedenskaya et al. provide a refined and detailed analysis of DNA sequence–induced transcription pausing. Journal Of Bacteriology, Jan. 1999; 181(2): 359–367. those of Rho-dependent sites recruit the Rho termination protein to the elongation complex. In both cases, RNAP, the transcript, and the template dissociate (reviewed in references 76 and 80). a single terminator is inactivated by interaction with an upstream sequence in the transcript, with a terminator-specific protein, or with a translating ribosome that follows closely behind RNAP (reviewed in references 35 and 104). polymerase is stably modified to a terminator-resistant form after it leaves the promoter. but also it is less sensitive to the pause sites that normally delay transcript elongation. (for previous reviews, see references 22, 23, 27, and 32). The recent explosive growth in our understanding of transcription elongation (reviewed in references 57, 96, and 99) make this an especially appropriate time to survey regulatory elements that target the transcription elongation complex. Antitermination in l is induced by two quite distinct mechanisms. an interaction between the l Q protein and its target in the late phage promoter. We describe the N mechanism first. Lambda N, a small basic protein of the arginine- rich motif (ARM) (Fig. 1) family of RNA binding proteins, binds to a 15-nucleotide (nt) stem-loop called BOXB (17) (Fig. 2). FIG. 1. [not shown] (A) Alignment of phage N proteins and the HK022 Nun protein. The color groupings reflect the frequency of amino acid substitutions in evolutionarily related protein domains: an amino acid is more likely to be replaced by one in the same color group than by one in a different color group in related proteins (34). proteins fall into three very distantly related (or unrelated) families: (i) l and phage 21; (ii) P22, phage L, and HK97; and (iii) HK022 Nun. circles, pentagons, rectangles, and ovals represent phosphates, riboses, bases, and amino acids, respectively. The solid pentagons indicate riboses with a C29-endo pucker. residue in the complex corresponds to Asn-14 in the complete protein (Fig. 1), and the displayed amino acids are numbered accordingly. (C) NUTL site of phage 21. The arrows indicate the inverted sequence repeats of BOXB. minimization as described (43), have been partially confirmed by genetic and biochemical studies (7, 43). the next ;9 nt remain closely associated with RNAP (64). About 17 nt of the nontemplate DNA strand are separated from the template strand in the transcription bubble. have different effects on elongation. both proteins alter termination efficiency in a terminator-specific manner (13, 14, 86; see reference 76). even when translocation is prevented by removal of substrates. between polymerase and the downstream duplex DNA template (63, 87). do not appear to be required. assure the lateral stability of the complex. concerted retreat of the RNA-DNA hybrid region from the 39 end (65). is capable of resuming elongation if the original or a newly created 39 end reengages with the active site (10, 44, 45, 65, 71, 95). within which termination can occur. until it reaches the next terminator. either can transiently slow elongation. this probably contributes to termination. interrupts contacts between the emerging nascent RNA and RNAP (62a). the downstream region of the template. are located close to the same regions of the enzyme (64). at least while the 39 end of the RNA is within the uracil rich segment of the terminator. in contrast to intrinsic terminators, lack a precisely determined termination point. (19, 29, 46, 47, 59, 60). unwinding DNA paired to the 39 end of the RNA molecule (11, 90). in an active ternary elongation complex. suggests that they prevent a step that is common to both classes. hybrid. However, other candidates, such as destabilization of RNAP-template or RNAP-hybrid interactions, are also plausible. by accelerating polymerase away from Rho bound at upstream RNA sites. enhances rather than suppresses Rho-dependent termination (see above). Clearly, the molecular details of processive antitermination remain poorly understood despite the 30 years that have elapsed since its discovery. derestimated protein abundances and the relative importance of transcription. protein abundances using direct experimental measurements of these errors. could not be estimated the true percent contribution should be higher. determine the contribution of mRNA levels to protein expression. the measured and inferred translation rates correlate poorly (R2 D 13). mRNA levels explain _81% of the variance in protein levels. to the variance in protein abundances using both of our strategies. translation a much smaller role. 40% of genes in a given cell within a population express no mRNA. differences in translation rates can play no role in determining the expression levels for the _40% of genes that are non-expressed. Background: Pathway databases are becoming increasingly important and almost omnipresent in most types of biological and translational research. However, little is known about the quality and completeness of pathways stored in these databases. The present study conducts a comprehensive assessment of transcriptional regulatory pathways in humans for seven well-studied transcription factors: MYC, NOTCH1, BCL6, TP53, AR, STAT1, and RELA. involves integrating genome-wide binding with functional gene expression data to derive direct targets of transcription factors. Then the lists of experimentally obtained direct targets are compared with relevant lists of transcriptional targets from 10 commonly used pathway databases. the overlap between experimentally obtained target genes and targets reported in transcriptional regulatory pathway databases is surprisingly small and often is not statistically significant. Conclusions: Our study opens a debate on validity of using many popular pathway databases to obtain transcriptional regulatory targets. We conclude that the choice of pathway databases should be informed by solid scientific evidence and rigorous empirical evaluation. One goal of human genetics is to understand how the information for precise and dynamic gene expression programs is encoded in the genome. The interactions of transcription factors (TFs) with DNA regulatory elements clearly play an important role in determining gene expression outputs, yet the regulatory logic underlying functional transcription factor binding is poorly understood. Many studies have focused on characterizing the genomic locations of TF binding, yet it is unclear to what extent TF binding at any specific locus has functional consequences with respect to gene expression output. 59 TFs and chromatin modifiers in one HapMap lymphoblastoid cell line. We identified genes whose expression was affected by the knockdowns. most interactions between TF and chromatin do not result in measurable changes in gene expression levels of putative target genes. influence what binding is functional, but they also suggest that a simple model of functional vs. non-functional binding may not suffice. expressed in each experiment. Outliers were not plotted. bound genes that are classified as differentially expressed, using an FDR of either 5% or 20%. Figure 4. Degree of binding correlated with function. Boxplots comparing (a) the number of sites bound, and (b) the number of differentially expressed transcription factors binding events near functionally or non-functionally bound genes. We considered binding for siRNA-targeted factor and any factor differentially expressed in the knockdown. (c) Focusing only on genes differentially expressed in common between each pairwise set of knockdowns we tested for enrichments of functional binding (y-axis). 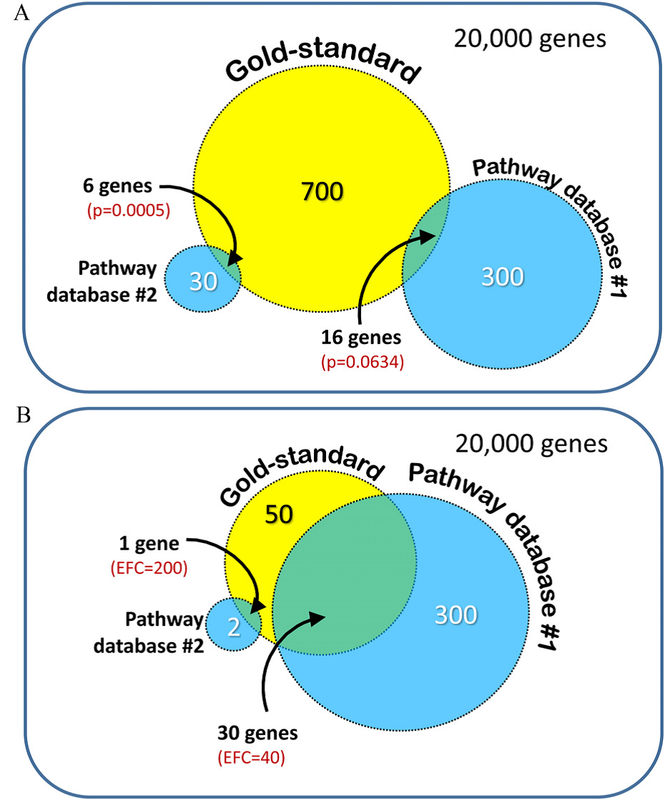 Pairwise comparisons between knock-down experiments were binned by the fraction of differentially expressed transcription factors in common between the two experiments. For these boxplots, outliers were not plotted. the distances and outliers were not plotted. Figure 6. Magnitude and direction of differential expression after knockdown. (a) Density plot of all Log2(fold-changes) between the knockdown arrays and controls for genes that are differentially expressed at 5% FDR in one of the knockdown experiments as well as bound by the targeted transcription factor. (b) Plot of the fraction of differentially expressed putative direct targets that were up-regulated in each of the knockdown experiments. To test whether the number of paralogs or the degree of similarity with the closest paralog for each transcription factor knocked down might influence the number of genes differentially expressed in our experiments, we obtained definitions of paralogy and the calculations of percent identity for 29 different factors from Ensembl’s BioMart (http://useast.ensembl.org/biomart/martview/) . We used genome build GRCh37.p13. For each gene, we counted the number of paralogs classified as a ‘‘within_species_paralog’’. After selecting only genes considered a ‘‘within_species_paralog’’, we also assigned the maximum percent identity as the closest paralog. which use correlations in DNase hypersensitivity between distal and proximal regulatory regions across different cell types to link distal elements to putative target genes . 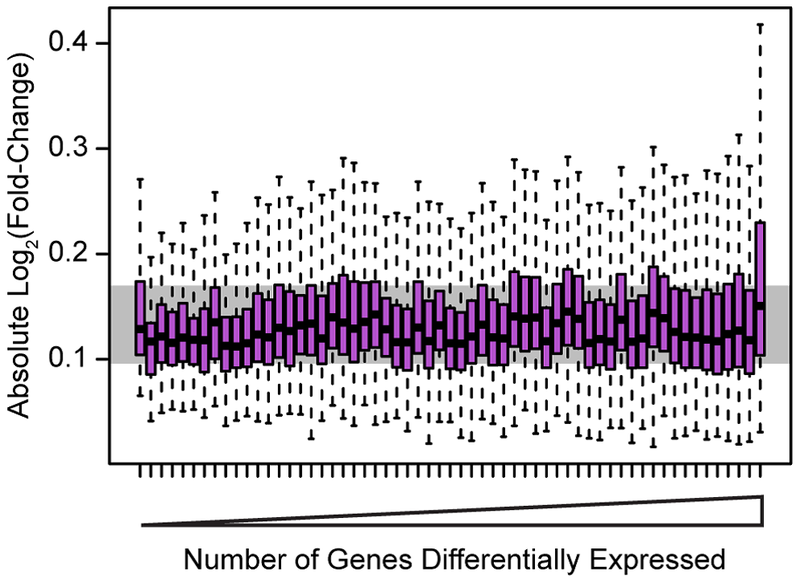 binding and differential expression in our experiments. upregulating the capacity of the ER in accordance with cellular demands. including Alzheimer’s disease and diabetes mellitus. (survival or apoptosis) during the ER stress response. To resolve these critical issues, structural and computational approaches will be indispensable, although the mechanism of the ER stress response is complicated and difficult to understand holistically at a glance. Here, we provide a concise introduction to the mammalian ER stress response for structural and computational biologists. Although these response pathways cross-talk with each other and have several branched subpathways, we focus on the main pathways in this section. pATF6(P) is a sensor molecule comprising a type II transmembrane protein residing on the ER membrane (Figure 2). Figure 2. The ATF6 pathway. The sensor molecule pATF6(P) located on the ER membrane is transported to the Golgi apparatus by transport vesicles in response to ER stress. In the Golgi apparatus, pATF6(P) is sequentially cleaved by two proteases, S1P and S2P, resulting in release of the cytoplasmic portion pATF6(N) from the ER membrane. pATF6(N) translocates into the nucleus and activates transcription of ER chaperone genes through binding to the cis-acting enhancer ERSE. Figure 3. The IRE1 pathway. In normal growth conditions, the sensor molecule IRE1 is an inactive monomer, whereas IRE1 forms an active oligomer in response to ER stress. Activated IRE1 converts unspliced XBP1 mRNA to mature mRNA by the cytoplasmic mRNA splicing. From mature XBP1 mRNA, an active transcription factor pXBP1(S) is translated and activates the transcription of ERAD genes through binding to the enhancer UPRE. Figure 7. Three functions of pXBP1(U). pXBP1(U) translated from XBP1(U) mRNA binds to pXBP1(S) and enhances its degradation. The CTR region of pXBP1(U) interacts with the ribosome tunnel and slows translation, while the HR2 region anchors XBP1(U) mRNA to the ER membrane, in order to enhance splicing of XBP1(U) mRNA by IRE1. Figure 8. Major pathways of ER stress-induced apoptosis. ER stress induces apoptosis through various pathways, including transcriptional induction of CHOP by the PERK and ATF6 pathways, the IRE1-TRAF2 pathway and the caspase-12 pathway. If cells are damaged by strong and sustained ER stress that they cannot deal with and ER stress still persists and hampers the survival of the organism, the ER stress response activates the apoptotic pathways and disposes of damaged cells from the body. Computational simulation of response pathways to analyze the decision mechanism that determines cell fate (survival or apoptosis) provides a valuable analysis tool, although there have been few such studies to date. Genetic and epigenetic events within a cell which promote a block in normal development or differentiation coupled with unregulated proliferation are hallmarks of neoplastic transformation. Differentiation therapy is a chemotherapeutic strategy directed at re-activating endogenous cellular differentiation programs in a tumor cell therefore driving the cancerous cell to a state closer resembling the normal or preneoplastic cell and therefore incurring loss of the tumorigenic phenotype. To put the need for alternate chemotherapeutic strategies in perspective, one is referred to the National Cancer Statistics from http://www.cancer.gov show that 33% of cancer patients, treated with standard cytolytic chemotherapy, will still die within five years (i.e. one in three will die within 5 years). However the addition of the differentiation agent retinoic acid to standard chemotherapy regimen for treatment of acute promyelocytic leukemia (APML) had improved 5 year survival rates from a range of 50-80% up to near 90% complete remission rates while 75% become disease free, an astonishing success story. For a review of APML please be referred to http://en.wikipedia.org/wiki/Acute_promyelocytic_leukemia. Briefly, APML is predominantly a result of the chromosomal translocation producing a fusion gene between the promyelocytic leukemia (PML) and RARα receptor genes. The PML-RARα fusion protein recruits transcriptional repressors, histone deacetylases (HDACs), and DNA methyltransferases. Treatment with pharmacologic doses of retinoic acid dissociates the PML-RARα from HDACs and results in degradation of PML-RARα, eventually resulting in the differentiation of the myeloid cells in APML. Dr. Igor Matushansky of Columbia University believes such differentiation therapy could be useful in soft tissue sarcomas, due to the existence of a connective tissue (mesenchymal) stem cell, in vitro methods which can differentiate these cells into mature tissues, and, from a gene clustering analysis his group had performed, correlation of expression signatures of each liposarcoma subtype throughout the adipocytic differentiation spectrum, including early differentiated to more mature differentiated cells(1). A parallel study by Riester and colleagues had been able to classify breast tumors and liposarcomas along a phylogenetic tree showing solid tumors can be reclassified based on cell of origin via expression patterns(2). In addition, other solid tumors, such as ovarian cancer are easily classified, based both on pathologic, histologic, and expression analysis into well and poorly differentiated tumors, correlating differentiation status with prognosis. In eukaryotes, epigenetic post-translational modification of histones is critical for regulation of chromatin structure and gene expression. 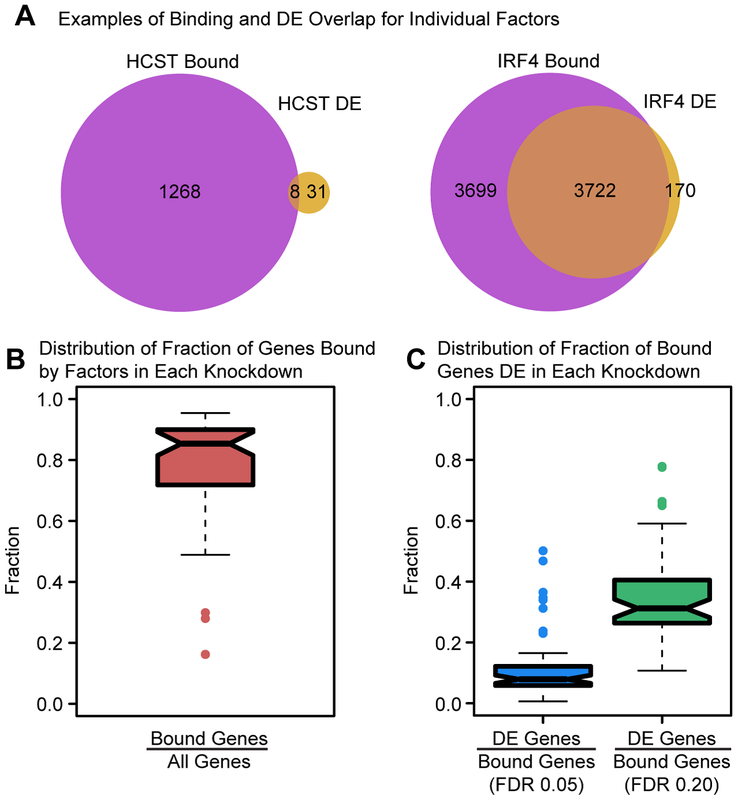 Histone deacetylation leads to chromatin compaction and is associated with transcriptional repression of tumor suppressors, cell growth and differentiation. Therefore, HDACi are promising anti-tumor agents as they may affect the cell cycle, inhibit proliferation, stimulate differentiation and induce apoptotic cell death (3). In a review by Kniptein and Gore, entinostat was found to be a well-tolerated HDACi that demonstrates promising therapeutic potential in both solid and hematologic malignancies(4). The path to the discovery of suberoylanilide hydroxamic acid (SAHA, vorinostat) began over three decades ago with our studies designed to understand why dimethylsulfoxide causes terminal differentiation of the virus-transformed cells, murine erythroleukemia cells. 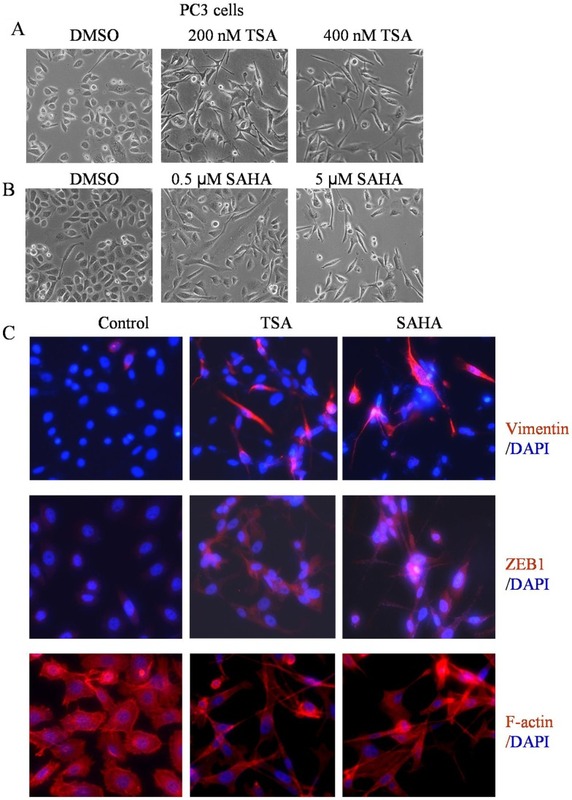 SAHA can cause growth arrest and death of a broad variety of transformed cells both in vitro and in vivo at concentrations that have little or no toxic effects on normal cells (for references see (5). In fact, treatment of MCF-7 breast carcinoma cells with SAHA resulted in morphologic changes resembling epithelial mammary differentiation(6). Vitamin A and retinoids play significant roles in basic physiological processes such as vision, reproduction, growth, development, hematopoiesis and immunity (7). Retinoids are the natural derivatives and synthetic analogs of vitamin A. They have been shown to prevent mammary carcinogenesis in rodents (8), to inhibit the growth of human cancer cells in vitro (9,10) and be effective chemopreventive and chemotherapeutic agents in a variety of human epithelial and hematopoietic tumors (11-14). Retinoids cannot be synthesized de novo by higher animals and consequently must be consumed in the diet. The two sources of retinoids are animal products that contain retinol and retinyl esters, and plant-derived carotenoids (provitamin A). b-carotene is the most potent vitamin A precursor and has been shown to be an active inhibitor of both tumor initiation and promotion (15). A major function of retinol, relevant to cancer, is its function as an antioxidant. The antioxidant properties of vitamin A have been shown both in vitro and in vivo (16,17). Retinol deficiency causes oxidative damage to liver mitochondria in rats that can be reversed by vitamin A supplementation (18). A caveat to this is in vitro and in vivo evidence of chronic hypervitaminosis A inducing oxidative DNA damage, as well (19-21). Therefore, it is evident that maintaining the vitamin A concentration within a physiological range is critical to normal cell function because either a deficiency or an excess of vitamin A induces oxidative stress (22). Retinoic acids (RA) (all-trans, 9-cis and 13-cis) are the major biologically active retinoids and exert their effects by regulation of gene expression by binding two families of ligand-activated nuclear retinoid receptors (23). Retinoic acid receptors (RARs) and retinoid X receptors (RXRs) regulate the transcription of a large number of target genes that contain retinoic acid response elements (RAREs) in their promoters. Many of these genes are involved in cancer (13,24) and differentiation (24-26). Several lines of evidence suggest involvement of defects in retinol signaling in cancer, from the observation that a vitamin A-deficient (VAD) diet leads to an increase in the number of spontaneous and chemically induced tumors in animals (27-29) to the observation that RA itself can induce differentiation and inhibit the growth of many tumor cells (30-32), as well as the identification that components of the RA signaling pathway are absent in cancer cells (33). Vitamin A and its metabolites have been proposed to have a dual effect in cancer prevention, as antioxidants (16,17,19,34) and differentiating agents (35-37). as it is well accepted that retinoid signaling is integral in maintaining the differentiated state of many cell types (13,38). Additionally, current rationale for chemoprevention with retinoids is based, in part, on the hypothesis that some tumors, may arise due to loss of normal somatic differentiation during tissue repair. Peroxisome proliferator-activated receptor ϒ (PPARϒ) is a member of the steroid hormone receptor superfamily that responds to changes in lipid and glucose homeostasis but has increasing roles in differentiation and tumorigenesis. The first PPAR (PPARα) was discovered during the search of a molecular target for a group of agents then referred to as peroxisome proliferators, as they increased peroxisomal numbers in rodent liver tissue, apart from improving insulin sensitivity. One of the first agents, developed in the early 80’s for treatment of hyperlipidemia and hperlipoproteinemia, was clofibrate. All PPAR subtypes heterodimerize with the retinoid-x-receptor (RXR) and, upon binding of ATRA, activate target genes. PPARϒ agonists have shown potential as a therapeutic in a variety of cancer types including bladder cancer (39), colon cancer(40), breast cancer(41), prostate cancer(42). There are numerous studies showing that PPARϒ agonists have anti-tumorigenic activity via anti-proliferative, pro-differentiation and anti-angiogenic mechanisms of action(43). For example, Papi et al. observed that agonists for the retinoid X receptor (6-OH-11-O-hydroxyphenanthrene), retinoic acid receptor (all-trans retinoic acid (RA)) and peroxisome proliferator-activated receptor (PPAR)-γ (pioglitazone (PGZ)), reduce the survival of MS generated from breast cancer tissues and MCF7 cells, but not from normal mammary gland or MCF10 cells(44) with concomitant upregulation of differentiation markers. A great website for further information on PPAR is Dr. Jack Vanden Heuvel, Professor of Toxicology at Penn State University at http://ppar.cas.psu.edu/general_information.html. Trabectedin (ecteinascidin-743 (ET-743); Yondelis) is derived from the Caribbean tunicate Ecteinascidia turbinacta has antitumor activity by binding to the DNA minor groove thus disrupting binding of transcription factors and inhibiting DNA synthesis. However, it has also been shown, in myxoid liposarcoma (MLS) cells, to cause dissociation of transcription factor TLS-CHOP from promoter sequences resulting in downregulation of target genes such as CHOP, PTX3 and FN1 and induces an adipogenic differentiation program by enhancing activation of CAAT/enhancer binding protein (C/EBP) family of genes. In MLS, TLS-CHOP sequesters C/EBPβ resulting in block of differentiation programs while trabectedin disrupts this association freeing up C/EBPβ to act as transcriptional activator of genes related to differentiation. The following is a listing of some clinical trials using histone deacetylase inhibitors in combination with approved chemotherapeutics in various tumors. This data was taken from the New Medicine Oncology Knowledge Base ( at http://www.nmok.net). Protein-coding genes — Proteins are molecules made of amino acids linked together in a specific sequence; the amino acid sequence is encoded by the sequence of DNA subunits called nucleotides that make up genes. Non-coding genes — Stretches of DNA that are read by the cell as if they were genes but do not encode proteins. These appear to help regulate the activity of the genome. Chromatin structure features — Complex physical structures made from a combination of DNA and binding proteins that make up the contents of the nucleus and affects genome function. Histone modifications — Histones are the proteins that make up the chromatin structures that help shape and control the genome. In addition, histone proteins can be physically modified by adding chemical groups, such as a methyl molecule, that further regulates genomic activity. DNA methylation — Just like histones, methyl groups can be added to DNA itself in a process called DNA methylation. Chemically attaching methyl groups to DNA physically changes the ability of enzymes to reach the DNA and thus alters the gene expression pattern in cells. Methylation helps cells “remember what they are doing” or alter levels of gene expression, and it is a crucial part of normal development and cellular differentiation in higher organisms. Transcription factor binding sites — Transcription factors are proteins that bind to specific DNA sequences, controlling the flow (or transcription) of genetic information from DNA to mRNA. 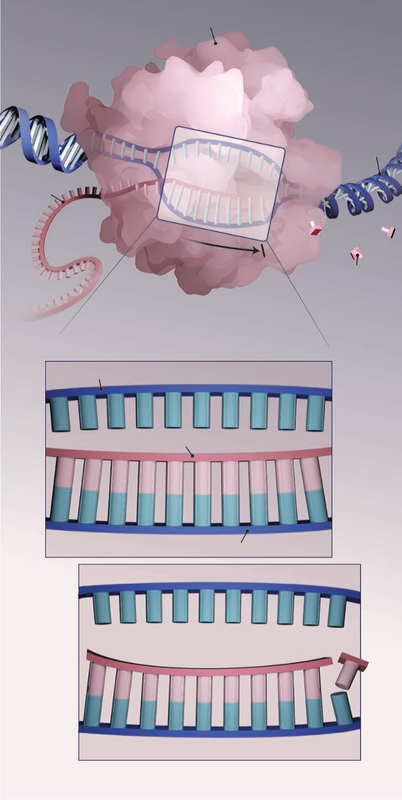 Mapping the binding sites can help researchers understand how genomic activity is controlled. How could ENCODE be helpful in the study of complex human diseases? Coronary artery disease, type 2 diabetes and many forms of cancer are complex human diseases that have a significant genetic component. Unlike mendelian disorders that have defined loci, the genetic component of complex disorders lies in the form of genetic variations in the genome making an individual susceptible to these complex diseases. Researchers have performed Genome-wide association studies (GWAS) of the human genome, leading to the identification of thousands of DNA variants that could be linked with complex traits and diseases. However, identifying the variants, referred to as SNPs (Single Nucleotide Polymorphisms), that actually contribute to the disease, and understanding how they exert influence on a disease has been more of a mystery. How would ENCODE solve the puzzle? The puzzle lies in interpreting how the SNPs found in the genome affect a person’s susceptibility to a particular trait or disease and what is the mechanism behind it. As identified in the GWAS, most variants that are associated with the phenotype of the trait or disease lie in the non-coding region of the genome. Infact, in more than 400 studies compiled in the GWAS catalog only a small minority of the trait/disease-associated SNPs occur in protein-coding regions; the large majority (89%) are in noncoding regions. These variants fall in the gene deserts that lie far from protein-coding region, similar to those where cis-regulatory modules (CRMs) are found. CRMs such as promoters and enhancers are a group of binding sites for transcription factors, and the presence of transcription factors bound to these sites is a good indicator of the potential regulatory regions. The integrative analysis of ENCODE data has give important insights to the results of GWAS studies. Investigators have employed ENCODE data as an initial guide to discover regulatory regions in which genetic variation is affecting a complex trait. Additionally, ENCODE study when examined the SNPs from GWAS that were associated with the phenotype of the trait, found that these regions are enriched in DNase-sensitive regions i.e, lie in the function-associated DNA region of the genome as it could be bound by transcription factors affecting the regulation of gene expression. Thus, the project demonstrates that non-coding regions must be considered when interpreting GWAS results, and it provides a strong motivation for reinterpreting previous GWAS findings. C-Myc, a proto-oncogene, codes for a transcripton factor, when expressed constitutively leads to uninhibited cell proliferation resulting in cancer. It has been observed that common variants within a ~1 Mb region upstream of c-Myc gene have been associated with cancers of the colon, prostate, and breast. Several SNPs have been reported in this region, that although affect the phenotype, lie in the distal cis-region of the MYC gene. Alignment of the ENCODE data in this region with the significant variants from the GWAS also reveals that key variants are found in the transcription factor occupied DNA segments mapped by this consortium. One variant rs698327, lies within a DNase hypersensitive site that is bound by several transcription factors, enhancer-associated protein p300, and contains histone modifications relative to enhancers (high H3K4me1, low H3K4me3). ENCODE data indicates that non-coding regions in the human chromosome 8q24 loci are associated with cancer and as observed in the case of c-myc gene, similar studies on cancer-related genes could help explain predisposition to cancer. Another example of the use of ENCODE data is that of gene regulation of fetal hemoglobin. Several regions were predicted via ENCODE that were involved in the regulation of fetal hemoglobin. It was found that these predicted regions are close to the SNPs in the BLC11A gene that is associated with persistent expression of fetal hemoglobin. As evident from the above examples, the ENCODE data shows that genetic variants do affect regulated expression of a target gene. Recently, several research groups in the UK performed a large-scale GWAS study to determine the genetic predisposition to fracture risk. The collaborative effort, published in a recent issue of the PLoS journal, was made to identify genetic variants associated with cortical bone thickness (CBT) and bone mineral density (BMD) with data from more than 10,000 subjects. http://www.plosgenetics.org/article/info%3Adoi%2F10.1371%2Fjournal.pgen.1002745 The study generated a wealth of data including the result – identification of SNPs in the WNT16 and its adjacent gene, FAM3C were found to be relevant to CBT and BMD. ENCODE data, in this case, could be helpful in interpreting more detailed information including determining additional SNPs, the regulatory information of the genes involved and much more. Thus, it could be concluded that ENCODE data could be immensely useful in interpreting associations between disease and DNA sequences that can vary from person to person. What does our genome encode? Chromatin accessibility, p300 and histone acetylation define PML-RARα and AML1-ETO binding sites in acute myeloid leukemia. Chromatin accessibility plays a key role in regulating cell type specific gene expression during hematopoiesis, but has also been suggested to be aberrantly regulated during leukemogenesis. To understand the leukemogenic chromatin signature we analyzed acute promyelocytic leukemia (APL), a subtype of leukemia characterized by the expression of RARα-fusion proteins such as PML-RARα. We used nuclease accessibility sequencing in cell lines as well as patient blasts to identify accessible DNA elements and identified over 100,000 accessible regions in each case. Using ChIP-seq we identified H2A.Z as a histone modification generally associated with these accessible regions while unsupervised clustering analysis of other chromatin features including DNA methylation, H2A.Zac, H3ac, H3K9me3, H3K27me3 and the regulatory factor p300 distinguished six distinct clusters of accessible sites, each with a characteristic functional make-up. Of these, PML-RARα binding was found specifically at accessible chromatin regions characterized by p300 binding and hypoacetylated histones. Identifying regions with a similar epigenetic make up in t(8;21) AML cells, another subtype of AMLs, revealed that these regions are occupied by the oncofusion protein AML1-ETO. Together our results suggest that oncofusion proteins localize to accessible regions and that chromatin accessibility together with p300 binding and histone acetylation characterize AML1-ETO and PML-RARα binding sites.